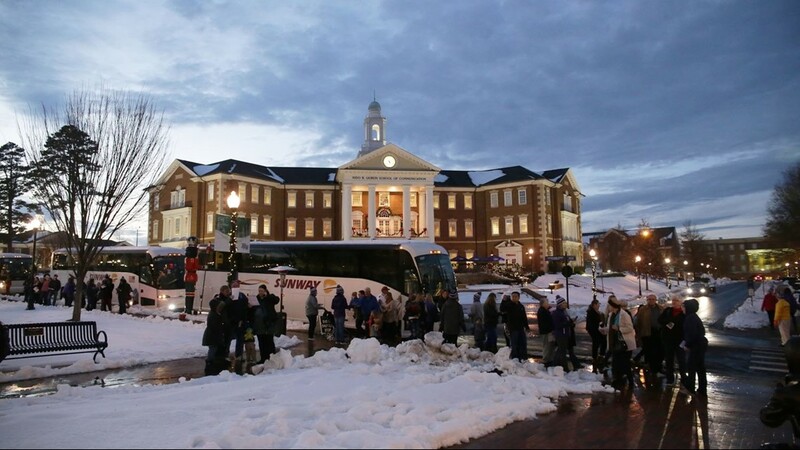 Attendees filled the Millis Athletic and Convocation Center, where complimentary hot food was served. 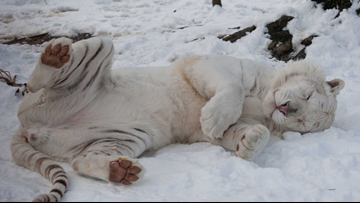 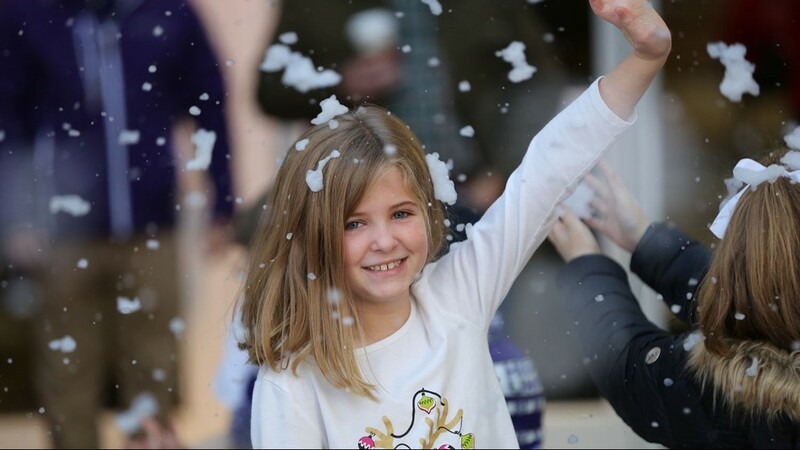 Three locations across campus provided falling snow. 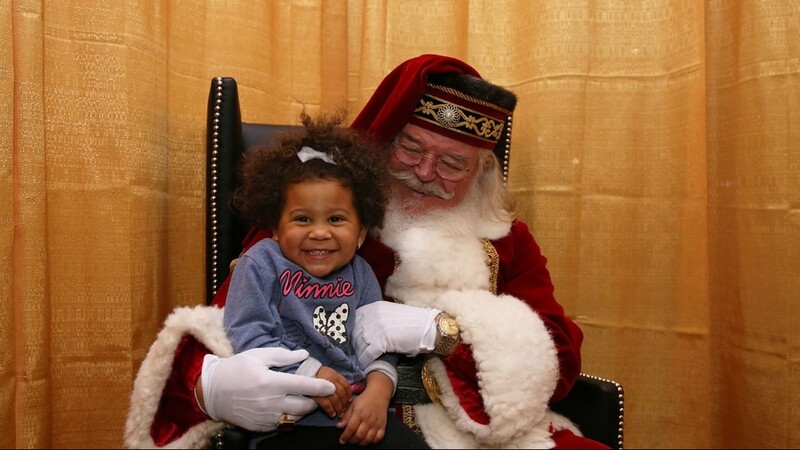 Addison Collier visit Santa for a photo and gift inside the Slane Student Center. 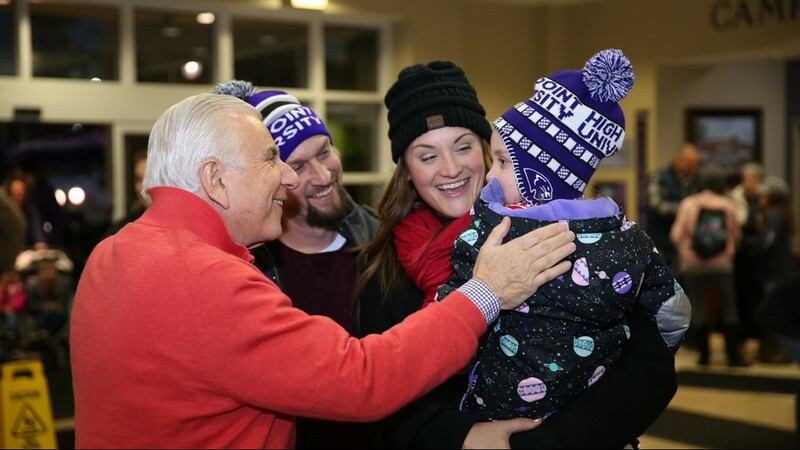 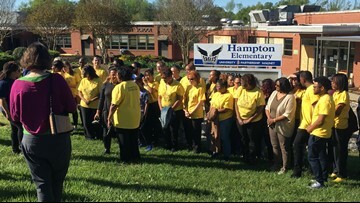 HPU President Nido Qubein, left, spends time with community members Adam, Nicole and Haydin Duncan attending the event. 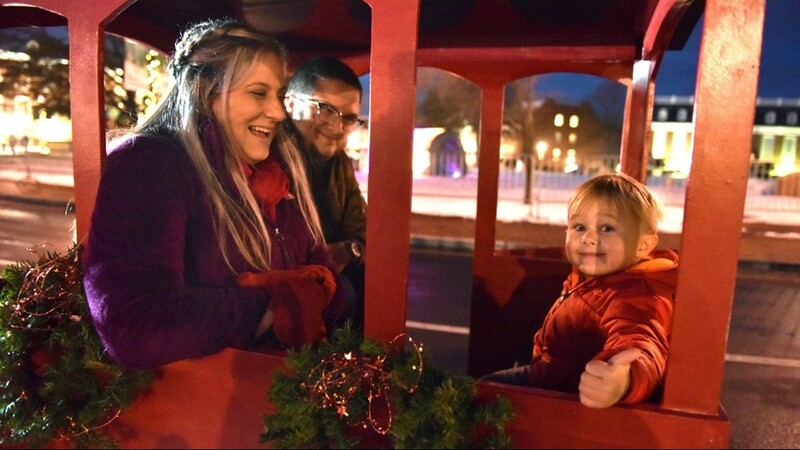 Cori Mackall (left), her son, Brakston (right), and her husband, Corey, ride the Polar Express during HPU's Community Christmas Celebration. 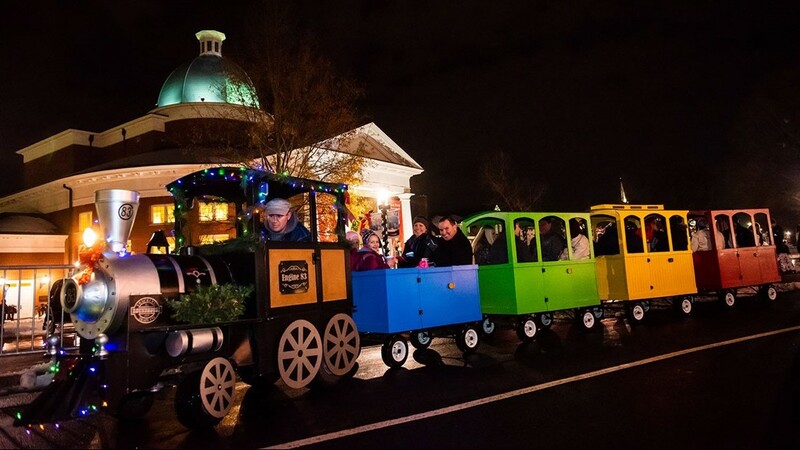 Families journey through campus on one of four Polar Express trains. 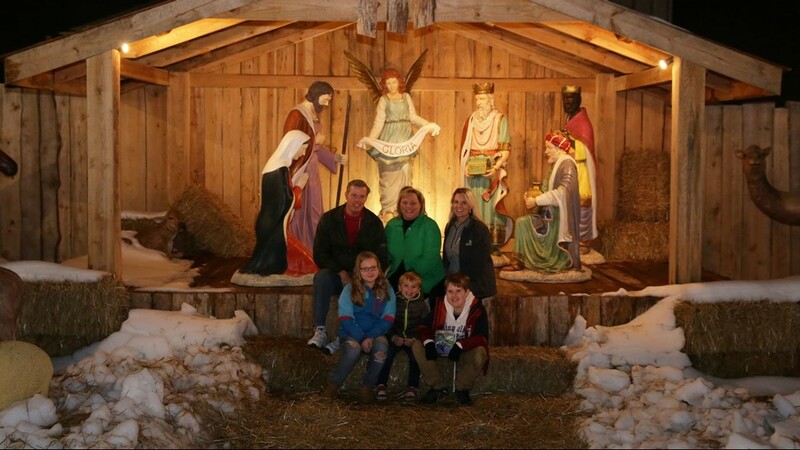 At HPU's life-size Nativity scene, pictured on the back row from left to right are Jerry and Molly Jordan and Samantha Sapp. 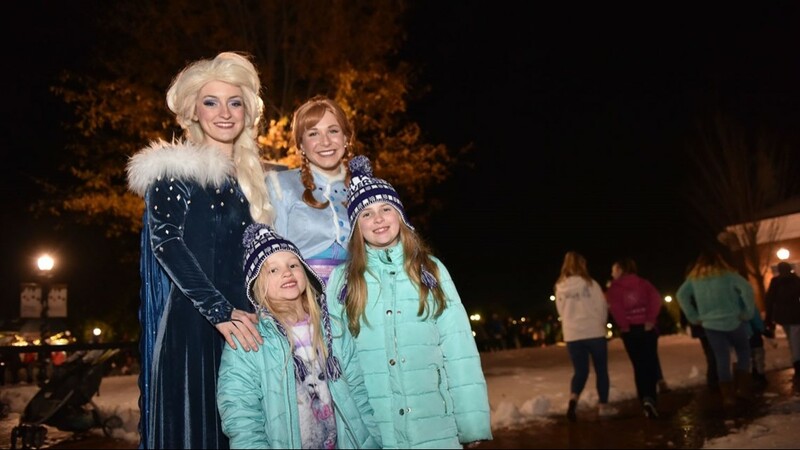 On the front row from left to right are Athena Sapp, Parker Jordan and Liam Sapp. 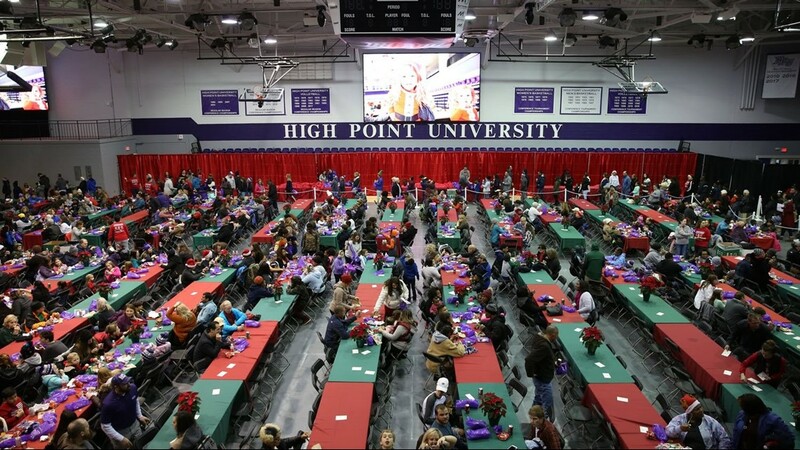 Approximately 12,000 people visit HPU's campus on the first night of Community Christmas.